Several players jumped at the chance to travel out of state and visit family. First baseman Xavier Nady headed back home to San Diego where he hung out at his house with family. It wasn’t exactly an adventurous trip for Nady who used his final day off to go to The Home Depot, Costco and host some friends over for dinner, but that doesn’t mean he didn’t enjoy himself. Southpaw Joe Paterson and his wife traveled to northern Arizona to visit the Grand Canyon for the first time. While he enjoyed the trip, Paterson was also happy to give his body a break from baseball. While both Nady and Paterson left the Valley of the Sun, infielder Ryan Roberts stayed in town during the break. Roberts attended FanFest where he participated in an autograph signing and Q&A. He also watched the 82nd MLB All-Star Game from home and celebrated his wife’s birthday. While at FanFest, Roberts was excited to see plenty of fans wearing D-backs gear. Now that the All-Star break has passed, each D-back returns to a team in the middle of a tough division race. Arizona enters the second half just three games back of the first-place Giants with 18 of its next 22 games coming against division rivals. The D-backs will also face the Giants nine more times. The oncoming weeks will be crucial for the D-backs’ division title aspirations. 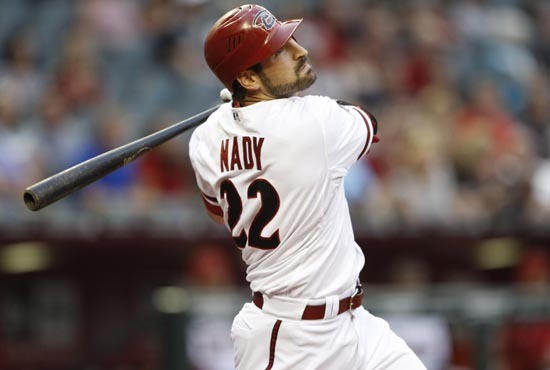 With a recharged and talented roster, Nady is adamant that his team is capable of making a run toward the top.